2. Release any derivative works (what you create with them) under the same license. Please be sure you understand and are willing to abide by the terms of this license before using these illustrations. The illustrations are organized by book(s) of the Bible, using a numeric code for each book (e.g. 01 is Genesis). If you would like to download all the images at once, you may do so from the ~4GB zip file, SweetPublishingBibleIllustrations.zip, or torrent file. Release any derivative works (what you create with them) under the same license. If you love this content, and love that it's free for everyone, please consider a donation to support our work to make resources like these available. Like these illustrations? 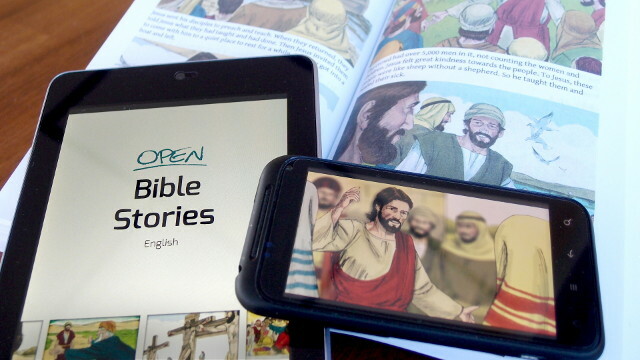 Check out Open Bible Stories! 50 key stories of the Bible, from Creation to Revelation, for evangelism & discipleship, in text, audio, and video, on any mobile phone, in any language, for free. THE CHURCH IN EVERY PEOPLE GROUP, THE BIBLE IN EVERY LANGUAGE. unfoldingWord® is a 501(c)3 non-profit and a member of the Evangelical Council for Financial Accountability (ECFA).